I already had to deal with the God-awful Rise of the Silver Surfer where they made Galactus some kind of weird robotic cloud. I already had to suffer through the official first film where Doctor Doom was unceremoniously shipped to Latveria at the end of the film. I also even endured the laughable unreleased Roger Corman film. 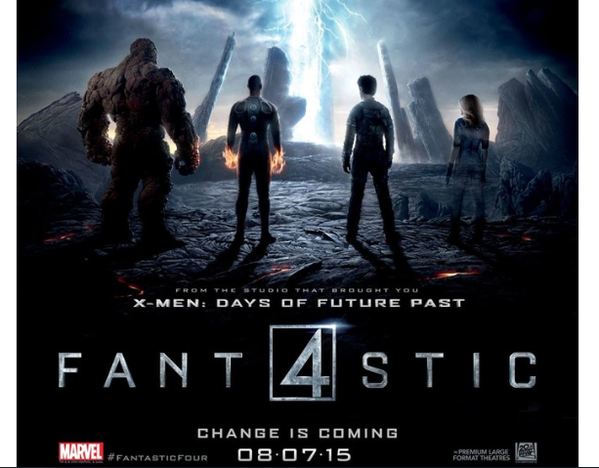 So I think the Fantastic Four is due to get, at the least, a decent film. Well, I just watched the 2015 reboot of the Fantastic Four and… nope! No dice! This film is a piece of crap! Okay, so before I get to the nitty-gritty of why I’m saying this film is garbage, let it be known that this will still be a SPOILER-FREE review. As much as I would love to reveal everything and explain in great detail why you should avoid this Fantastic Bore (see what I did there? ), I still think people would want to see what a colossal failure of a film this is. So, yes, I will still write up this review of Fantfoursitic (that’s what it says on the posters, right?) without any major plot reveals… even if my soul wants to so badly. The most glaring issue is with the overall story. The new Fantastic Four is not a superhero film at all; it’s actually a sci-fi film. Now, that would be okay if it was a good sci-fi film… but it’s not! The schizophrenic script can’t even figure out what kind of sci-fi film it wants to be! It’s like the writers kept throwing storyline ideas on the wall and, whatever stuck, coalesced into this mess! This really hurt the overall pacing of the film, which was slow as paint drying… which is what watching this film felt like, coincidentally. And the Fantastic Four are supposed to be a superhero team, right? Well, the entire film didn’t make it seem like they were because all four characters are never in the same scene until the final act! That’s a big shame! You have some pretty good actors, like Miles Tellar as Reed Richards/Mr. Fantastic, Michael B. Jordan as Johnny Storm/The Human Torch and Kate Mara (who’s absolutely gorgeous here, by the way) as Susan Storm/Invisible Woman. 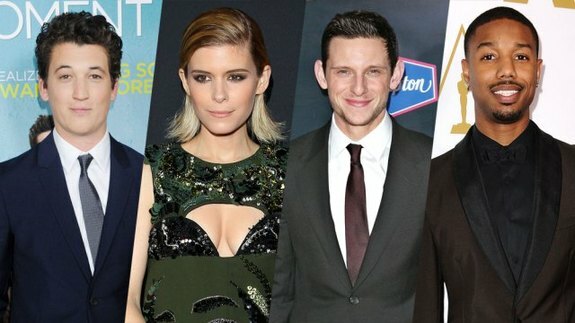 It would have been good to see them all bond early in the film so we can see what a great team they would make once they do become the Fantastic Four! What a wasted opportunity! Do I even have to mention who Michael B. Jordan is in this photo? Now, let’s focus on this film’s version of Doctor Doom. I mean, come on! How hard could it be to make a good Doctor Doom on film? Once again, Hollywood has to come in and ruin him by adding their own spin to his origins? Without spoiling anything (like I said I would), I actually like the cheesy Roger Corman Doctor Doom version! Heck, I’ll even take the one in the previous two film! At least they made the character interesting! But here, he’s just a mopey emo guy who just so happens to be a genius. But the worst thing about the new Fantastic Four film is that it’s so joyless. At least the previous two Fantastic Four films had some fun with the characters! Here, they were all turned into soulless shells, devoid of any emotion. Everyone acts pretty much the same as well. There are no distinct personalities to make them memorable in any way. The story is all mopey and sad. It’s like the producers watched Man of Steel and thought to themselves, “How can we make a superhero movie even more devoid of any color?” and they came up with The Fantastic Four. If I were to mention anything good about the film, it would be the amount of violent imagery near the very end of the film. I’m not a gore-hound but it was the only real thing that stirred any emotional response from me! Sadly, it doesn’t really last very long. But at least it woke my brain up a little! There’s your Deadpool trailer. You’re welcome! Avoid watching the reboot Fantastic Four movie and just wait for 20th Century Fox to realize they don’t know how to make a proper Fantastic Four movie and give the rights back to Marvel. Then maybe we’ll get the movie the team rightfully deserves. Did you decide to watch 2015 The Fantastic Four after reading this review? Okay… what did you think of it? Let me know in the comments section below.